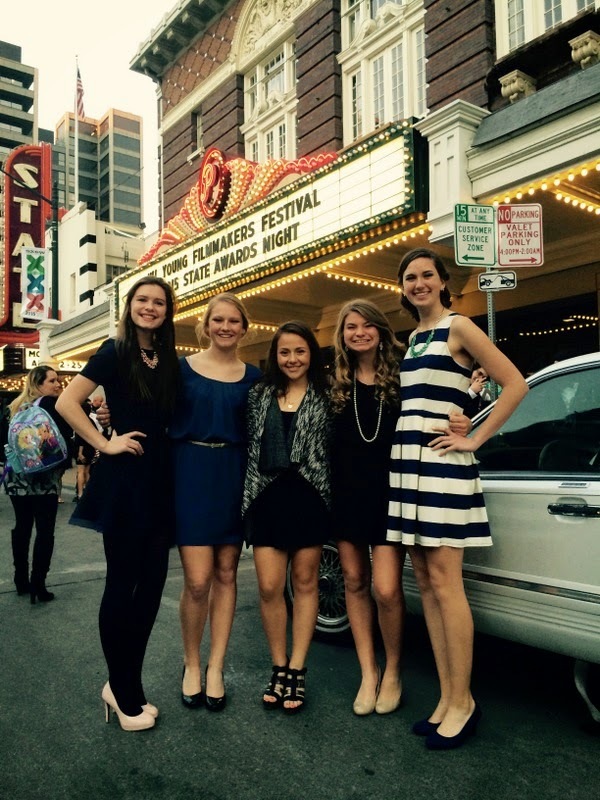 The H Factor: Hornet Student Filmmakers Make Movies, Take Them to State! 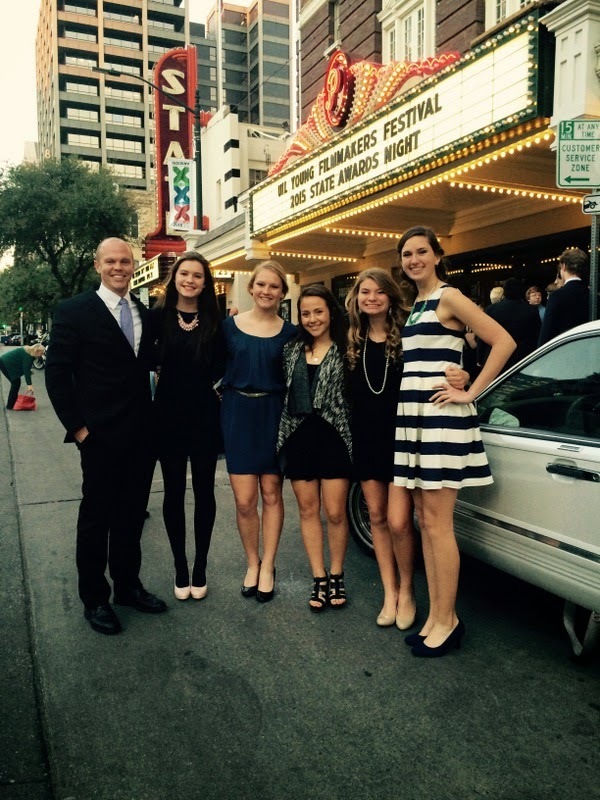 Hornet Student Filmmakers Make Movies, Take Them to State! What exactly DO some of our Huntsville High School students do for fun in their free time? Director and Subject: Carolyn Davidhizar with Chantale Macias. Well some of them use their free time to write, produce, act and edit movies. That's the case with three groups from Huntsville High School who created films and entered them into The University Interscholastic League's Young Filmmakers Festival. This is the second year of the festival, the second year that our District submitted entries into the competition, the second time one of our Huntsville High School student produced films placed- and you guessed it- our film came in Second place! taking a quick break for the paparazzi. A Shot at Equality is a movie profiling one of our Lady Hornet Soccer players that was actually made by members of her own team of Lady Hornet Soccer players. A soccer player editing a movie about a soccer player while using a soccer mouse pad. Chantale Macias is an incredibly hardworking and phenomenally talented Mexican-American girl who dreams of playing for the Mexican National Team. She has been playing for years, and enjoys the support of her mom and dad, but the movie explores how many Hispanic families aren't like hers and believe their daughters should work supporting the family instead of pursuing their athletic passions. The film features interviews with fellow players, as well as their coach and HHS CTE Film and TV teacher Andrew Stewart. The genesis of the film came out of conversations between coach and players. Chantale is definitely more comfortable on the field than on camera! A Shot at Equality, was entered under the documentary category, and the other two HHS student produced films were made for the narrative category. Each film started with a "What if?" conversation, and each team had a specific subject and headed in different directions. This resulted in one very serious and one...well, not so much! The Catalyst is a suspenseful dramatic thriller set in a high school. The movie explores the ramifications of an abusive relationship not only on the couple but those that love them. It involved developing a script, several days of shooting and lots of post production (editing). The movie includes some intense scenes, so don't click on it if little ones are around. 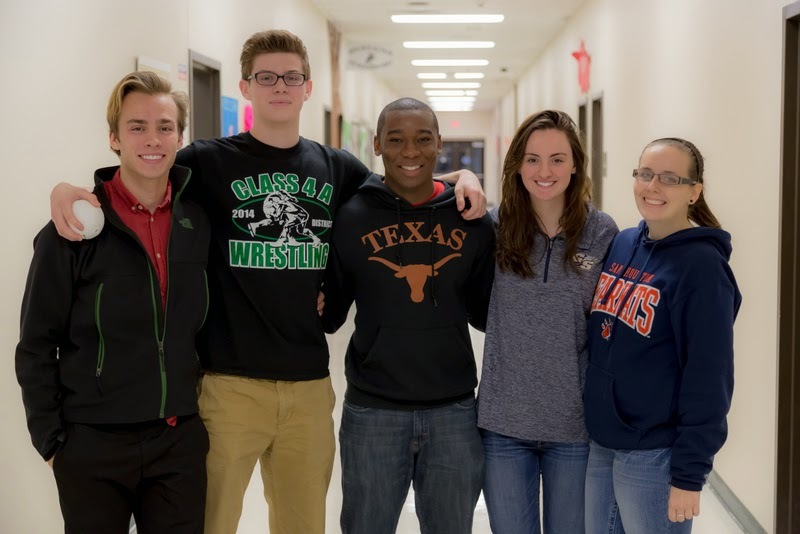 The film was written, shot, produced and edited as a team that included Chijindu Diokpa, Makayla Doyle, Jake Spaulding, Nick Vanecek and Emilee Worley. From L-R: nick, Jake, Chijindu Makayla and Emilee. Simple Combat Armor is an irreverent, slapstick send up of the do-it-yourself genre. It features students from Mandy Stewart's announcements class ("The Hive") and was shot in an afternoon. It features Parker Blount, Jackson Godby, Miller Montgomery, and Mohammad Yar. They had fun making it, and hope you have fun watching! Miller Montgomery, Parker Blount (orange), Jackson Godby (in back) and Mohammad Yar. You may remember that last year, our students entered A Queen to Be, a documentary about the nomination and crowning of one of our Life Skills student (and friend to all) Estafania Martinez. It placed Third in state, and you can read more about it as well as watch the movie by clicking here. Coach Stewart with the crew- See you next year! While we will always appreciate awards and are proud of the results, we also honor all the students that had an idea, and took the time to make (and finish) a project. They did it not for a grade but for the fun and learning experience of filmmaking. Congratulations to everyone!